Fox is delighted to have for rent this well sized 3 bedroom apartment in the Mesa Geitonia area.There is a very large open-plan living/kitchen/diner area, ideal for entertaining, comfortable and cosy living. All 3 bedrooms are a good size with ample storage and wardrobe space. There is a main family bathroom and a further separate WC.Available from 1st February furnished. Two bedroom furnished apartment for rent in the Omonia area of Limassol.Very easy access to the highway and with all amenities close at hand.The apartment is partially furnished and ready to move into.For more information please call Nicholas on 96312218. 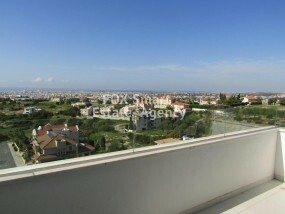 1bd apartment on the ground floor of a gated complex with swimming pool, not far from the sea. Full furnished, a/c, kitchenware, bathroom. Storage room and parking place. BBQ zone, tennis court. Beautiful 2 bedroom apartment for rent near the city center. This apartment is located on a 3 storey building with elevator, fully furnished, en suite, wardrobe, a/c in all bedrooms, beautiful furniture, veranda and parking. Tenant needs to be ready to pay at least 3 months in advance!